In the late 20's Howard Blossom attended California Institute of Technology in Pasadena, CA. There he met John Pierce, another student who had constructed a two-place primary training glider. Howard's first flight was probably in that primary on the then open slopes around the Palos Verde hills south of Los Angeles. 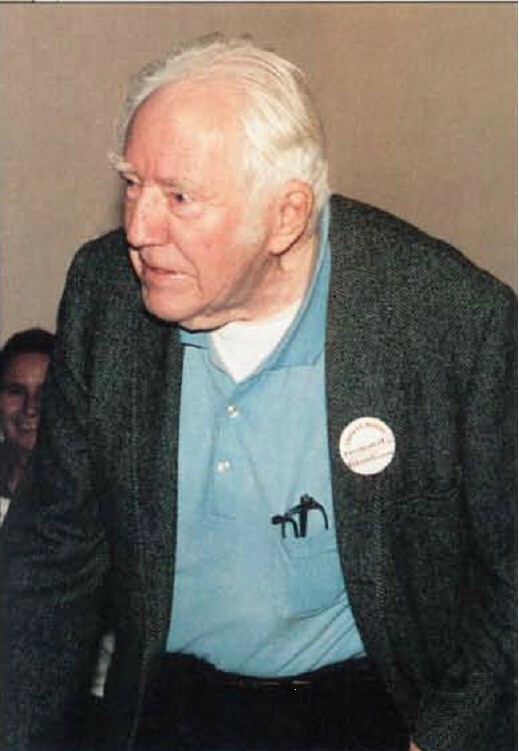 Throughout the thirties he vacationed on Cape Cod and soon became a graduate student of Parker Leonard's, flying the various gliders of that era on the sand dunes of the Cape, including a primary glider on floats. 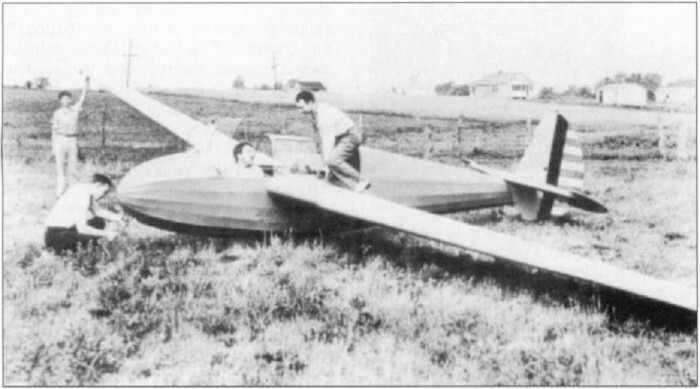 When WW II came along and Jack Laister formed the L-K Aircraft Corporation in St. Louis, Jack asked Howard to become the Chief Glider Pilot and Chief of Quality Control. He always felt that his integrity and tenacity saved L-K from many very potentially dangerous situations. A clear example was with the CG-4A wing strut fitting that failed during an air show at Lambert Field in 1943. All fifteen VIP's aboard were killed including the Mayor of St. Louis. The inferior fitting that failed was made by the same machine shop that produced that fitting for L-K. Company records reflected that about 25% of the fittings furnished had been rejected. Howard had recognized at the outset that it would be difficult to inspect the critical wall thickness of this fitting and had designed a special tool to check it. He didn't bring you problems. He brought you solutions. He loved to tell funny stories that were based on some fact. One of his favorites concerned the event of installing a new lathe in the L-K plant. Howard had impressed those concerned with the importance of setting the ways or bed level. Production Manager, John Novak, was impatient and the installation didn't pass the first one or two inspections. Finally with some help from Howard, the installation was okay. Now the Maintenance Chief, a retired blacksmith in charge of the installation, said to Howard, "You know the Navy has very good machine shops aboard their big ships. Tell me how do they keep those lathes level." Howard's name is prominently displayed on the Memorial located in the St. Louis International Air Terminal, dedicated to those who developed the big Trojan Horse glider. A few years ago the St. Louis Soaring Association was about to lose the use of the airport that had been their base of operations for many years. It was to be sold for a housing development. Howard bought the airport and it is now (at the time of this writing) the property of the St. Louis Soaring Association. A large bronze plaque dedicated to Howard is on one of the buildings there. Blossom placed second in Group II of the 11th National Competition at Harris Hill in 1940. He also entertained the spectators with aerobatics. Laister-Kauffmann Test Pilot and Chief of Quality Control, Howard Blossom rises to make a point at an event celebrating the 50th anniversary of the XCG-10A "Trojan Horse" cargo glider built by Laister-Kaufmann Company. This aircraft is one of the pioneering designs resulting from WW II -f first cargo aircraft to use the rear-loading clam-shell doors.